Want to Take Your Blog to the Next Level? I Can Help You! There I was. Driving toward the trailhead in a caravan of cars filled with people and dogs I’d met through my blog and Instagram. 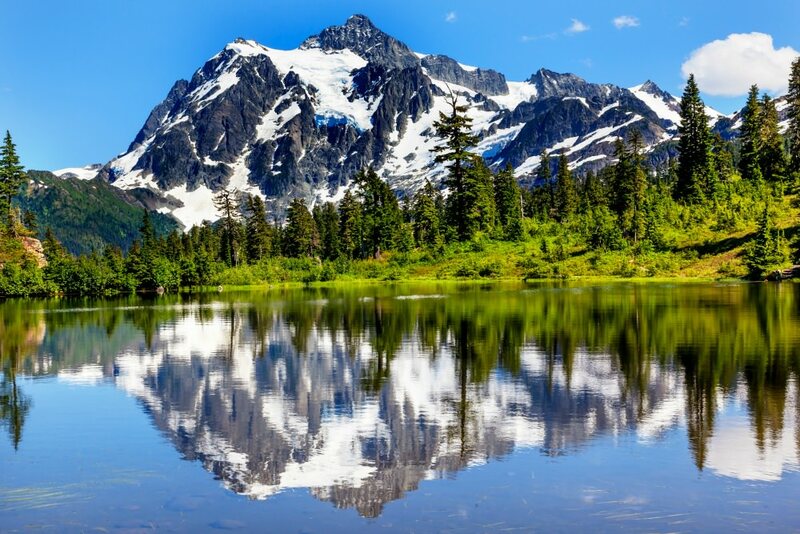 As I rounded the bend, and the picturesque Mount Shuksan came into view, I started to cry. The feeling of satisfaction, of living on my own terms with purpose, the freedom and flexibility to make my life exactly how I want it, all welled up inside me and my heart swelled. You see, seven years ago I was where you probably are. Living by “shoulds.” I was following a logical trajectory — college, job, climbing the corporate ladder. But, something was missing. Something didn’t feel right. I knew there was something more; I just wasn’t sure what it was or how to get there. I started a blog about hiking and camping with my dogs; it was an outlet for my frustration. It was a family tragedy that shoved me toward living the life I’d been dreaming about all day, every day, for years. I quit my cushy job shortly after and leapt into the unknown. I worked hard to earn money through my blogging efforts. I went back to school and earned a masters degree in digital communications. Then I started my own pet-focused consulting business. Suddenly, I was using my talent and passion for communicating and connecting with people as a way to assist professional bloggers and brands to make money online by driving traffic to their site (and optimize their blog posts up to generate revenue). I finally felt things were falling into place. I was living the life I was meant to live. This year my income will exceed the paycheck I brought home from my corporate job; I don’t have any plans to stop there. Can you envision being able to set your own schedule? What if you had the freedom to work WITH your natural talents, energy levels and preferences? Imagine not living inside the box that others think you should conform to. Picture being the architect of your own life. Finally you’ll have the freedom to make choices that bring you more joy and that will lead you closer to the best version of yourself. Do You Want To Re-write Your Story? Are you currently frustrated with where you are in life? Are you yearning to change that? Do you want to be a professional blogger? Are you already a professional blogger, but you want to take your blog to the next level? Do you want to leverage your blog experience into your own online business? Do you want the freedom to spend more time with your dog, your friends and family? Do you want to live a healthier lifestyle (and achieve that elusive work-life balance)? Do you want the freedom to live life on your terms? Have the freedom to create your best life — one that allows you to fully become the best version of you? I want to help YOU take control of your own life — your time — by turning your blog into a source of income. If it’s already earning income, to help find ways to leverage that success and earn more. If you’re ready to get started NOW, send me an email. I’ve spent seven years obsessively researching and learning by trial-and-error to build my entrepreneurial toolbox. One of my talents is the ability to listen to people and match them with the right tools to get where they want to go, and explain it in easily understandable terms! “Jessica, we’re pretty sure you could teach physics to a 3rd grader.” – Instructor from one of my communications training classes. Of course, you could spend seven years to hopefully get where I am today, but I’m willing to bet you want to get there sooner, right? Leverage my experience to propel your business forward. Instead of you wading through hundreds of books and articles to learn best practices for blogging and social media, and how to apply it to your situation, I can teach you what you need to know and get you on the right track to your new future in a few months. I’ll be honest: Running a successful online business is hard work. I can show you how to accelerate the process, but I can’t DO it for you. You have to want it and be willing to put in the time to get it. You have to be ready and willing to put in the work. I work harder now than I ever did at a “job.” It took — and continues to take — passion, bravery, commitment, perseverance, treating your blog — and YOURSELF — like a business. You have to be willing to make some difficult decisions and to fully commit to saying “no” to some things in order to make room for saying “yes” to those things that will help your business grow. You WILL have the potential to be the happiest (and most fulfilled) you’ve ever been! I know, because I am living that life! If you’re ready to take your blog to the next level, I can help you find your way through a one-on-one mentorship program. Contact me to get started! Each mentorship program is customized for you and your unique needs. I don’t have a template and there is one one-size-fits all approach. I don’t want to cover things you already know or simply give you a short lesson on something and move on before you understand it. After our conversation, I’ll put together a plan to address the biggest sticking points we’ve identified. Most mentorship periods last three to six months at a time, depending on what you want to tackle together. If you need more help, we’ll work together for as long as you need. During the time period we’re working together, I will help you through a combination of one-on-one calls, an exclusive Facebook group, and done-for-you services. Contact me if you’re ready to take your blog to the next level and get on the path toward more money and more freedom. If you’re a pet-related business, or a business with products targeting pet owners, and you need help setting up your blog, please see my consulting services HERE.